Edwin Evers Oklahoma Grown Gift Tins W/4 Flavors of Pecans 2 lb. Gift Tins W/4 Flavors of Pecans 2 lb. 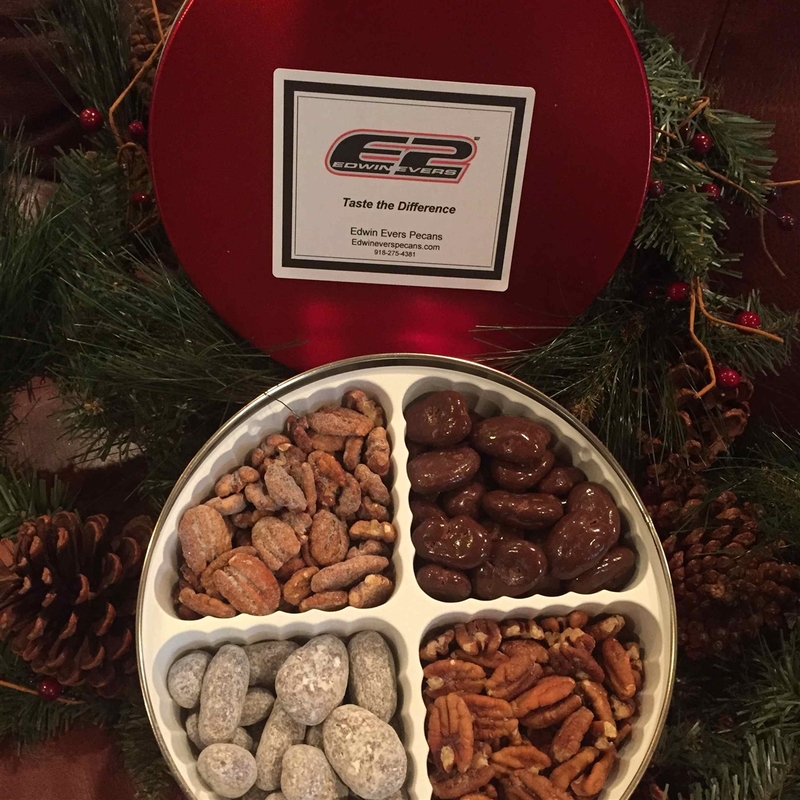 Our gift tin includes Milk Chocolate Pecans, Chocolate Toffee Pecans, Cinnamon Pecans and Creme Brulee Pecans.